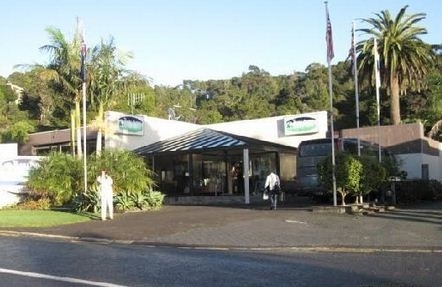 The Paihia Pacific Resort Hotel is just a short stroll from the sun drenched shores of the ocean beaches of Paihia and the many activities available in the Bay Of Islands. Northland - New ZealandThis boutique hotel, with its unique character, offers a perfect haven for holidays, conferences, functions or just relaxing and enjoying the peaceful atmosphere of the Bay of Islands. 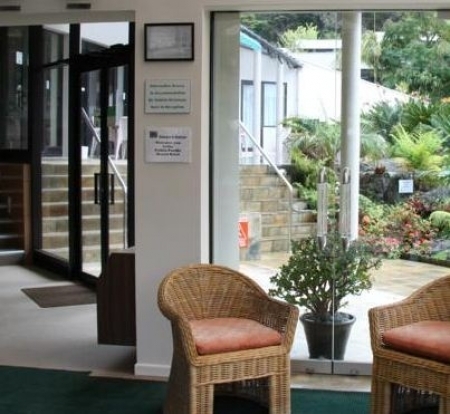 We offer comfortable accommodation and a Restaurant that offers a full cooked or Continental breakfast menu. Our Stone Grill Dining offers an exciting interactive dining experience with your meal cooked on heated stone as well as a wide selection of dishes to try. 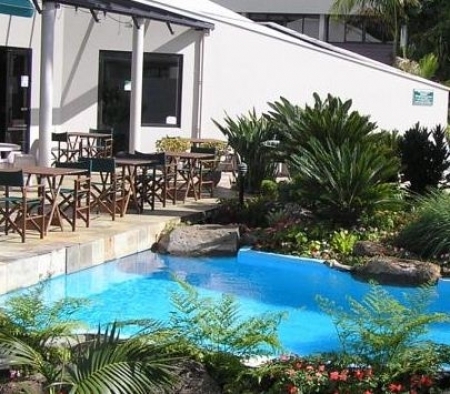 Our lounge bar opens out on to the pool side, a favourite spot for a relaxing drink after the days activities in and around the Bay of Islands. 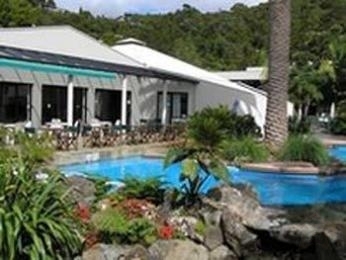 Relax in the tranquil accommodation of the Paihia Pacific Resort Hotel, Bay of Islands, New Zealand. Full reception and room service. 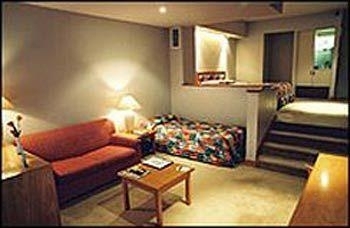 12 Air-Conditioned, Split Level, Superior rooms. 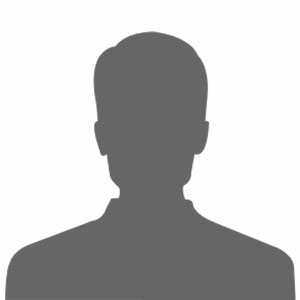 23 Standard/Premier rooms. Sky and television (6 channels) and radio. Tea and coffee. Guest Laundry. Full accessibility for the disabled. Access to floodlit tennis courts.